Are you interested in interfaith dialogue? Have you been intrigued by a synagogue visit or celebrated a Jewish holiday? By concentrating in Jewish studies, you will have the opportunity to learn about the Jewish faith from the time of Abraham to the time of Jesus, and about the development of that faith into its modern Jewish expressions. But the Jewish studies concentration is not just the study of Jewish religion—it is the study of the Jewish people, and of the diversity of that culture and peoplehood.  Why study Jewish studies at Gordon? At Gordon, textbook studies come to life. We are situated on the North Shore of Boston, home to over 35,000 Jewish people. Our unique relationship with the North Shore Jewish community will enable you to supplement your coursework with personal interactions with our Jewish neighbors, whether through weekly attendance at a local synagogue or by volunteering at a local Jewish community center. You also have the option of doing a two-credit internship within the local Jewish community by volunteering at a Jewish community center, working at the Holocaust Center Boston North, or assisting with Jewish Family & Children’s Services. The Jewish studies concentration is part of the biblical studies major.